*** You may be charged an additional fee to change passenger names. Cancellation Notice: In the event of cancellation, you are solely responsible for any/all penalties imposed by the travel provider (cruise line, tour operator, air carrier, hotel, etc). In the event of a delay and you cannot reach the cruise ship, you will be solely responsible for all costs relating to the continuation of my trip. This might include air transportation, ground transportation, overnight hotel accommodations. In the event of total cancellation, you will be responsible for all penalties imposed by the travel provider. All rates are subject to availability and may go up, sell out, or be withdrawn by the cruise line at any time. Deposit will be paid immediately. FINAL PAYMENT IS DUE 90 DAYS PRIOR TO SAILING. Final Payment will be paid automatically with the credit card on file. Please call or email us if you would like to pay your final payment with a check, or a different credit card. Please thoroughly review this invoice in its entirety. The Customer will be the only recipient of invoices and is solely responsible to convey all information listed on invoices to all travel companions. Multiple invoices will not be issued. Passenger names should reflect the complete legal names. 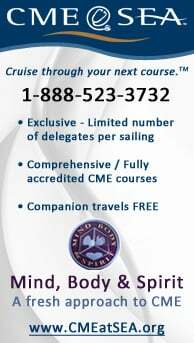 Notify your Cruise Specialist immediately if changes or corrections are needed. Suppliers may charge a substantial fee plus applicable fare increases for changes made less than 90 days prior to sailing date. CRUISE CONNECTIONS will not and cannot accept any coupons, vouchers or certificates (our wholesale rates do not allow for any further discounts or concessions from the cruise line). Supplier brochures contain important information concerning your vacation. Review supplier's policies oncerning cancellation penalties. If applicable, locate your cabin to verify its location and bedding options. Compare ship, sailing date, and itinerary on this invoice with the supplier's current brochure for correctness. 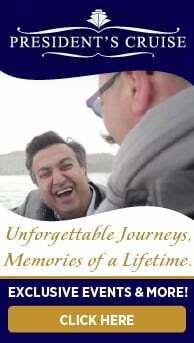 By purchasing this cruise you accept and understand that this booking does not automatically include travel insurance. Travel insurance is offered following the purchase of the cruise, or by logging in and viewing your itineraries. Travel Insurance may be added after the booking online, or by calling CRUISE CONNECTIONS. Travel insurance provides protection for the traveler in the event that the trip is cancelled due to certain circumstances (for specific inclusions/exclusions, please contact your Cruise Specialist for a detailed insurance brochure). Travel Insurance also protects in the event of most medical emergencies, and in some instances, pre-existing conditions. Some other benefits may include legal assistance, emergency medical evacuation, and travel document and ticket replacement assistance. Proof of U.S citizenship is required for all travel outside the United States. In most cases, U.S. citizens need a copy of their birth certificate with a raised seal or a passport. All suppliers also require a photo I.D. Non U.S. citizens must contact their government embassy concerning specific travel documentation requirements. If you purchase air transportation from your cruise supplier, not from CRUISE CONNECTIONS, in most cases, the cruise supplier will be able to make arrangements for you to reach the ship in the event of delays with your air transportation. The cruise supplier reserves the right to choose the air carrier, routing, flight times, and city airport for each gateway city. If you make other air transportation arrangements (i.e. through a third party other than the cruise supplier), the cruise supplier or agent assumes no responsibility. Additionally, if you encounter delays and miss the ship, you assume all responsibility for, but not limited to, loss of time, money or property. INSURANCE IS HIGHLY RECOMMENDED! Any special requests for air must be done at least 90 days prior to the departure date. This service is an air deviation; charges start at $75 per person plus any fare differential.CRUISE CONNECTIONS is not responsible for any flights assigned by the cruise line. Review All Tickets and Documents. Documents will be received approximately 7-10 days prior to travel date. It is the sole responsibility of The Customer to review and verify all information printed on the supplier's tickers, documents and/or accompanying literature. Verify all passenger accommodations, and all other information. Suppliers may charge a substantial fee plus applicable fare increases for changes made after the tickets and/or documents are issued. CRUISE CONNECTIONS charges an additional $50 per person for any changes in addition to the above mentioned Cruise Line charges. Notify your Cruise Specialist immediately if changes or corrections are needed. $50 Service charge per person for ALL CHANGES i.e. adding/removing air/name change, etc. CRUISE CONNECTIONS is acting as intermediary and agent for suppliers identified on the invoice in selling services, or in accepting reservations or bookings for services that are not directly supplied by this agency (such air transportation, hotel accommodations, ground transportation, meals, tour, cruises, etc.). This agency therefore shall not be responsible for breach of contract or any intentional, unintentional or careless actions or omissions on the part of such suppliers, which result in any loss, damage, delay or injury to you, your travel companions or Group members. CRUISE CONNECTIONS shall not be responsible for any injuries, damages, or losses caused to any traveler. By embarking on his/her travel, the traveler voluntarily assumes all risks involved with such travel, whether expected or unexpected. The Customer, by his or her purchase of this cruise, has been advised of Travel Insurance and has read all information included with this invoice. The Customer is solely responsible to convey this information to all travel companions.